For Bluebirds in the East. Discuss. I also live in Milton Keynes and travel to home games by train. Midweek games are rare for me cos my mrs needs the car for work. I am catching either the 7:23 or 7:50 to Sheffield on Sat meeting some mates there for a beer and then onto Huddersfield. Some of the guys are coming to Milton Keynes next sat. Mark are you up for this? Luton bluebird I have no problem coming to pick you up if you want? Any CCFC in the Norfolk area?? 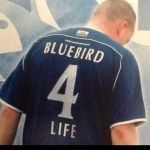 BLUEBIRDS!!!! Garethfuntime wrote: Any CCFC in the Norfolk area?? BLUEBIRDS!!!! Oh yeah. I've just spent an evening of banter with my daughter in law about yesterday's game. All I can say is that those canaries arent singing anymore ! Norfolk's not that far though - very like the Rhondda really, except that there are no hills or coal or trains from Treherbert to the Ninian Park Halt. I was there when Cardiff played their last game in the old First Division and I waited a long time for the return which we confidently expected at that time would be the next season. In the mean time I have followed their results and progress from the polar circle, Norway, Texas,Rhodesia, ( if we can still say that), and many other far flung places. Not till I settled down in East Anglia though, did the boys regain that rhythm which started to fade when Barry Jones retired and went out when they sold Toshack to Liverpool. Anyway you should really look under "East Anglia"
Most of the places mentioned in this thread are hardly East England are they ? I mean, Milton Keynes and Luton ?